First let me say that ONLY YOU can really answer this question. In order to honestly answer this question, however first you must be informed, which is where DWDads hope we can help. Who is going [# of Adults + # of Children (with ages)]? When do you want to go and for how many days/nights? How do you think you’ll eat – table service or counter service meals? By answering these 4 simple questions DWDads can give you a quote (without discounts) so you can begin saving or budgeting for your trip. **Note – We will often book/quote clients at “rack rates” knowing there is a strong possibility of a discount coming in the future. When the discount is released, we then apply the discount and the balance due decreases or a refund is issued. How do you think you’ll eat – table service or counter service meals? We like to eat one big sit down meal and the other meals we will eat on the go. Given the information above the Hotel (Pop Century), Meals (Dining Plan with 24 Table service, 24 Counter Service, 24 Snacks & 4 refillable mugs) and Tickets (7 day base tickets) would cost just about $3,000 before any discounts that might be released. So how do I save $3000? *Better yet each month go to Target and purchase $250 in Disney entertainment cards with your Target REDCARD (saving 5% on each purchase) – By the end you’ll have spent $2,850 on $3,000 in Disney Cards a $150 SAVINGS – Stack the REDCARD with a 5% Pharmacy Rewards Card (not valid in NJ) and you will save $300 on the $3,000 in cards. Many people receive a tax refund when they file their yearly taxes. What better way to use this “found money” than on a family trip. Every time you come home, empty your pockets into a jar or milk jug. You’d be surprised how much you can save over time. 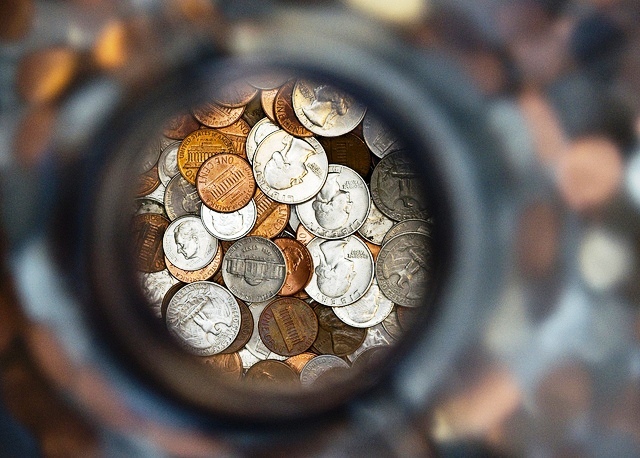 DO NOT use Coinstar machines that charge a fee or spend your time rolling your change – many banks (TD Bank in my area) have FREE coin sorting machines and you do not even need to have an account there to use these machines. Quit smoking – $8 per pack per day = $2,920 in one year. Not only can you save the money, but you’ll be healthier and touring the parks will be easier too. Today’s article comes from October 29th and it covers what every Disney fan can admit he has: a Disney Bucket List! This coming weekend (November 1-3) is the first weekend in an often-mentioned, but rarely understood week at Walt Disney World: Jersey Week. Every year, New Jersey teachers have a conference in early November that takes place during a Thursday and Friday. This offers the families of New Jersey school students a mini-vacation that’s not during a holiday; it’s a perfect time to visit Disney World! Over the years, however, Jersey Week has developed a reputation for being a busier-than-average week to visit the parks. While it is probably an exaggeration to think that New Jersey visitors alone could effect park crowds all that much, there may be some other contributing factors to this being an out-of-the-ordinary week to visit. That’s why Jersey Week isn’t a week that I fear going; contrarily, it is item number one on my Disney Bucket List. Disney Bucket Lists. All Disney fans have them; many contain similar items. Most rely on repeated and frequent trips to Disney World and Disneyland (and, more than likely, other parts of the world). Some items probably rely on more than a sprinkling of pixie dust. Regardless of its contents, a Disney Bucket List offers the regular Disney visitor a focused set of vacation-oriented goals; how many other travel destinations can claim that?? Whew. For most of us, going this week would help us cross off several of our Bucket List items in one visit! There are many online reports from others who attempted this unofficial Disney World game: visit all four parks in one day, making sure to complete a set number of tasks at each park. These tasks usually include a certain number of attractions and meals. This seems like a difficult task for those of us with young kids, or those of us who are only in the parks for a regular vacation and would prefer to not spend one of our days running around like a madman. My hope is that the right trip will come along, and I’ll be able to finally try my hand at this Disney Fanatic’s ritual. These items are all pretty similar and basically require two things: time and money. For a while, we weren’t really considering a bucket list when it came time to book the next Disney vacation; we would stay at a resort that fit our budget and that we were familiar and happy with (usually Pop Century); but things have changed. We have several Disney vacations in mind for the next few years, and if all goes as planned, we’ll be able cross a couple of new resorts off our list. These are all items that require a little (or a whole bunch) of pixie dust. Club 33 is an exclusive, members-only restaurant that is in Disneyland. This one is manageable, since you can get a reservation if you know a member who is willing to help you out, Walt’s Apartment is located above the Fire Station in Disneyland, and it is actually included in some tours, so this one is also attainable. The Castle Suite is the ultimate bucket list item. As of now, Disney claims there is no way for a regular guest to stay in the suite (although, like most things, money talks). I probably won’t spend a lot of time thinking about this one, but it still deserves a spot on the list. OK, world wide web, it’s confession time. 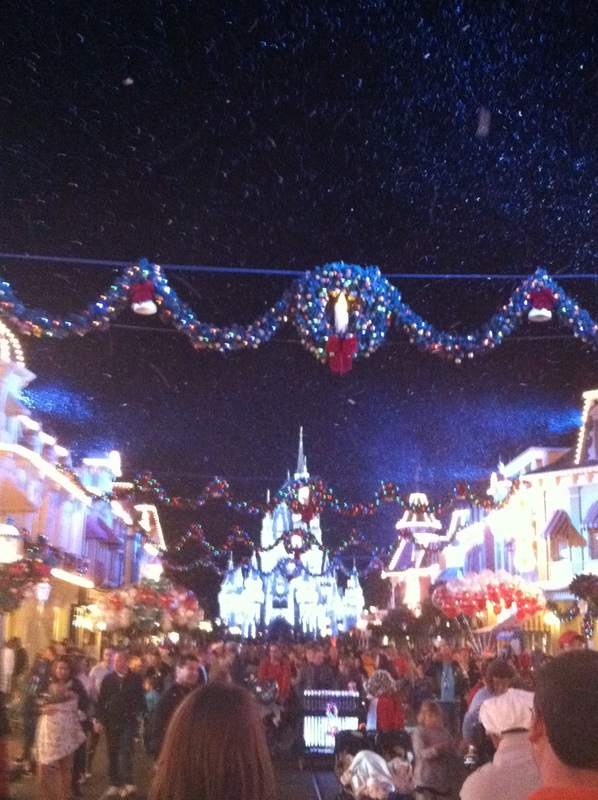 When I retire, I would like to move to Orlando and be the Mayor of Main Street. 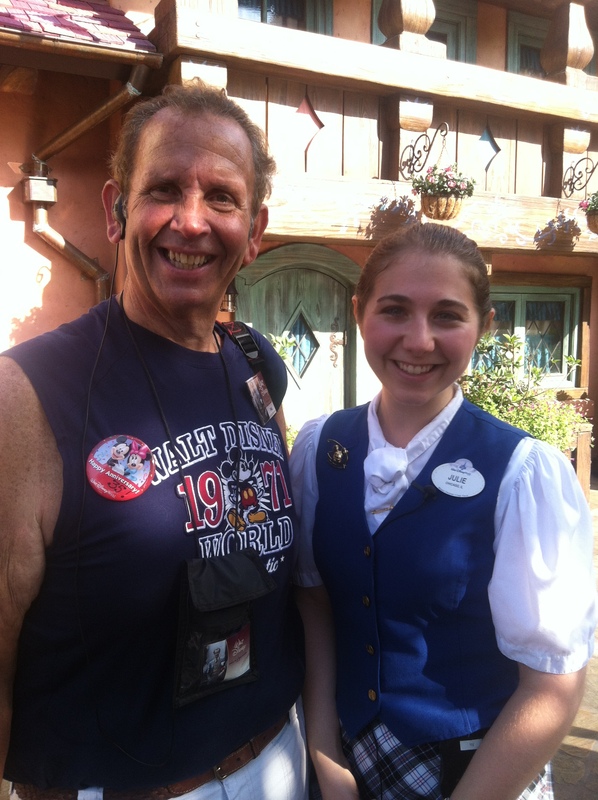 This is a streetmosphere character who walks around Main Street and greets park guests, shaking hands and taking pictures. To me, it sounds like the perfect way to spend your golden years. If there’s one thing a Disney fan can do, it’s dream. So, what’s on your Disney Bucket List? Today’s article comes from August 7 and it gives an overview of how Disney World offers their discounts. Enjoy! 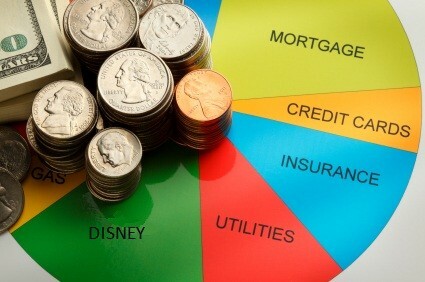 Going on any vacation, especially a Disney vacation, is a major investment, both of time and money. 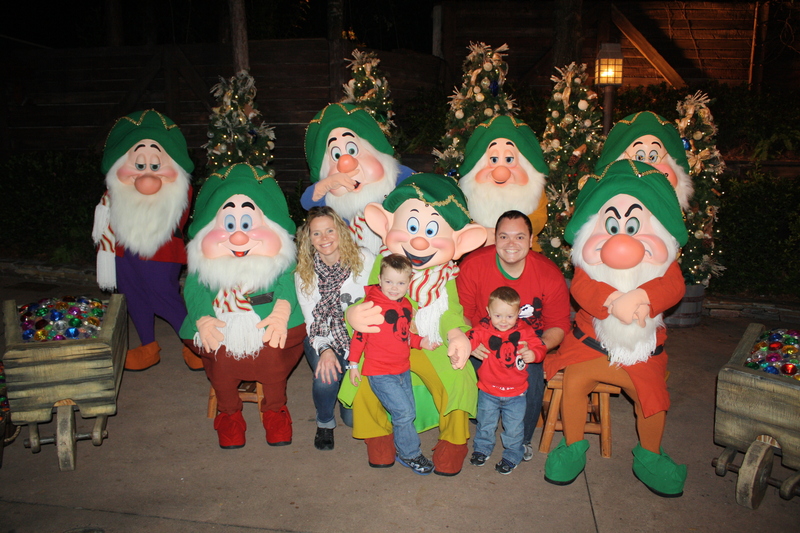 If there is a way to save money on our Disney vacation, we will all happily take advantage of it. There are times, however, when Disney runs multiple discounts or discounts that are not available to everyone at the same time. How do you know when or how to get the best deal? Here are some basics on how Disney offers discounts and how you can take advantage of them. 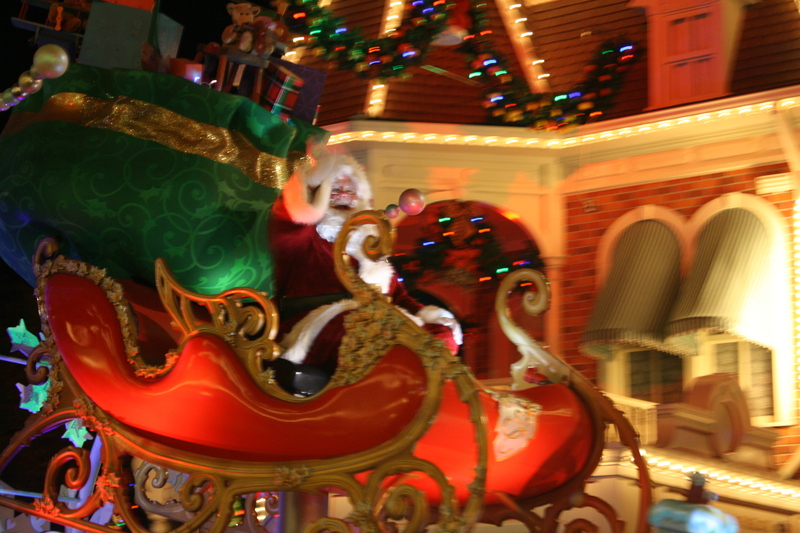 A Vacation Package is when you combine a stay at a Disney World resort hotel with tickets to get into the theme parks. Packages can also include the Disney Dining Plan, but they do not have to. The tickets in your package can also include optional upgrades, such as the ability to hop from park to park. A Room Only reservation is just what it sounds like: a reservation for a room at one of the Disney World resort hotels. Tickets can then be added to this, thereby essentially making it a Vacation Package; but, it is important to note that this type of reservation started as Room Only. Right now, Disney is offering Free Dining and Room Only Discounts for this fall. Free Dining: This discount would add one of the Disney Dining Plans to your reservation for free if you book a Vacation Package at the rack rate. The level of the Dining Plan depends on the level of resort you book. % Off Room Only: This is a certain percentage off the Room Rate. The percentage tends to go up as the level of hotel goes up. As mentioned above, you can then add tickets and dining, usually at full price. There have been other discounts, of course. Kids Stay and Play Free basically gives your kids free park tickets. In the past, there have been gift cards given out or free nights added, but these are a lot less common today. Disney Visa Cardholders: Sometimes get to book with a discount a few days earlier than the general public. Annual Passholders: They also get to book a few days early. AP holders also get many discounts offered to them exclusively throughout the year, including special room rates. Florida Residents: If you live in Florida, you can often get special room rates. Pin Code Recipients: Many times, Disney sends out personalized postcards or e-mails that include a unique code. This code allows the recipient to take advantage of an unpublished discount (free dining, room only, etc.). Who gets these codes and why? That is a mystery only Disney knows the answer to! This year’s Food and Wine Festival is included among the dates for this Fall’s discounts. 1. You can only take advantage of one discount at a time; no double dipping! 2. Most discounts require you to pay for some of your vacation at rack rate. Often, two discounts are offered at the same time, so do the math to see which is the better deal for you. 3. There are only a certain number of rooms at each resort earmarked for each discount. So, the discounted rooms will sell out before the actual resort runs out of rooms. 4. If you book a vacation at rack rate, then a discount comes out, you can call and have them apply the discount to your reservation, as long as your room type is still available under the discount. 5. If the room you want is sold out under a discount, keep calling back. It may become available as others change their vacation plans. 6. 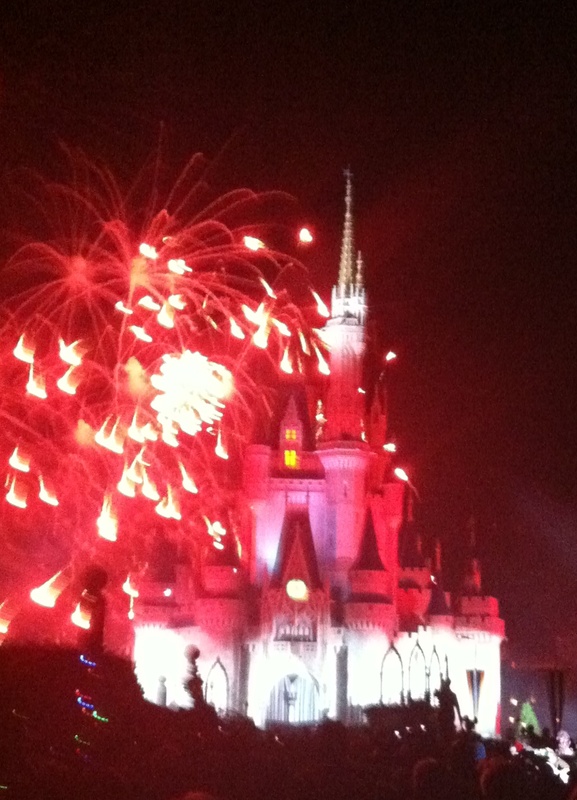 Let a Disney Vacation Specialist do the work for you! DW Dads are Disney Vacation Specialists. At no cost to you, we will find you the best discount available for your family. If one is not currently available, we will keep in constant contact with Disney to apply a discount to your reservation as soon as it is released. Let us crunch the numbers and make the phone calls; you can just focus on making great vacation memories! Click here to request a quote. Thanks to my sons-in-law, Domenic and J.R. for inviting me to be a guest blogger today and Congratulations to both of you on creating such an awesome Disney Travel web site!! Many bloggers will talk about “touring plans” which will save you time and allow you to see all of your favorite rides and attractions in Disney theme parks in record time, but rather than a touring plan….. Let’s talk about…. planning a tour! On our recent trip to Disney World, my husband Phil and I took the “Marceline to Magic Kingdom Tour”. 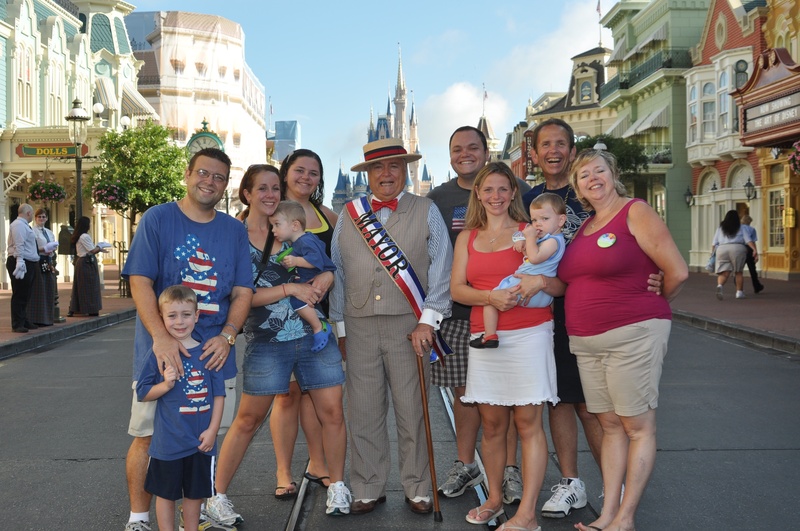 This is a three hour walking tour that includes a few of the Disney World classic attractions. The tour begins prior to the opening of the park, so we had early access to the park with very little tourist traffic for our excursion! We had a small group and a super inspirational guide named Julie! We donned our souvenir Marceline name tags and neat headphones so that we could hear every word our tour guide articulated and off we wen t! Marceline, as we discovered, is the small historic railroad town in Missouri and the childhood home of Walt Disney. It is where he began his “career” as a youngster drawing, painting and selling his pictures to neighbors and family! The town of Marceline served as his inspiration for Main Street USA, sparked his life-long love for trains and his focus on the importance of the American Family. After an interesting and informative trip down Main Street “Marceline”, we turned to make our way to Liberty Square and… the Haunted Mansion! 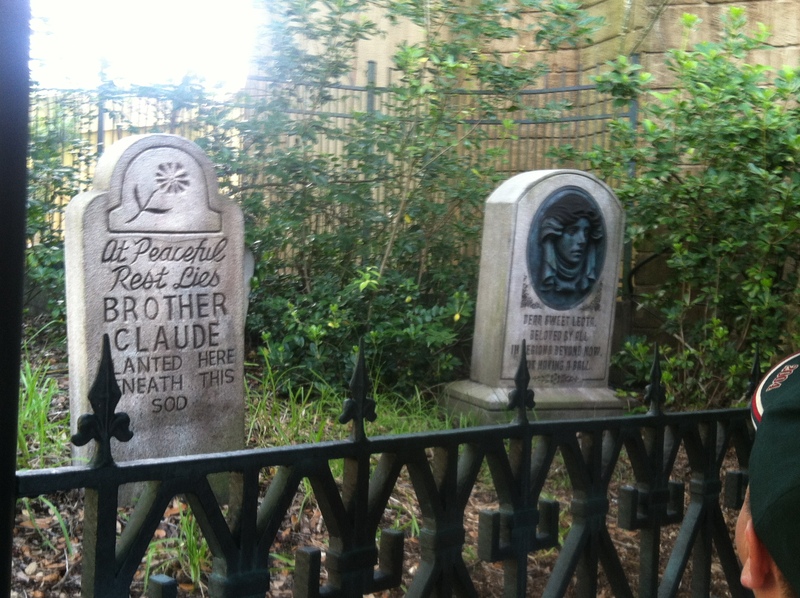 Did you know that all of the creators and collaborators of Haunted Mansion are memorialized on the tombstones and grave markers surrounding the eerie estate? Take the tour and you will discover all the spooky secrets that lie within! Walt Disney and his Imagineers were very focused on creating a story around the rides in the park. 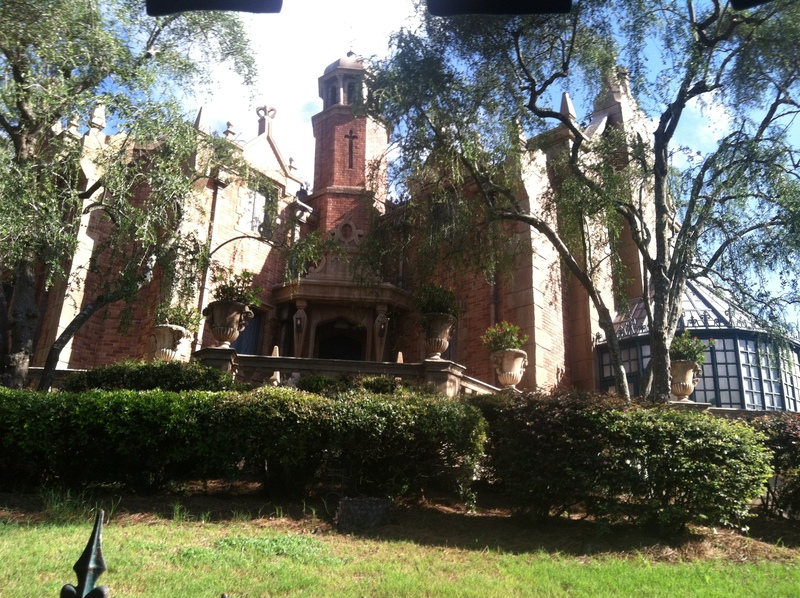 From the instant you pass through the gates of the Haunted Mansion to the moment you exit .….if you exit…..you are transported into the world beyond with creative interactive haunts. The haunted mansion is a wonderful combination of spooky and silly that reflects the styles of the two main designers, Marc Davis and Claude Coats. They originally disagreed on whether the ride should be scary or funny, but both men got their “dying” wish and today we get to ride the doom buggy through a delightfully “spirited” adventure. After touring the mansion, we walked through Fantasyland and rode The Many Adventures of Winnie the Pooh. This is another “story” ride that sweeps you through the world of Pooh on a blustery day in the hundred acre wood. We boarded our giant honey pot and bounced along with Tigger, entered the dream world of Heffalumps and Woozles , then celebrated sunny days with Winnie’s successful attempt to eat some honey! Our group then ventured to Tommorwland and the Carousel of Progress. This attraction was the main feature at the General Electric Pavilion at the 1964 World’s Fair in New York City. In 1967 it was moved to Disneyland in California and then in 1975 it was moved to Disney World! The ride has been updated throughout its 50 year history to reflect the technological advances experienced by the American family. 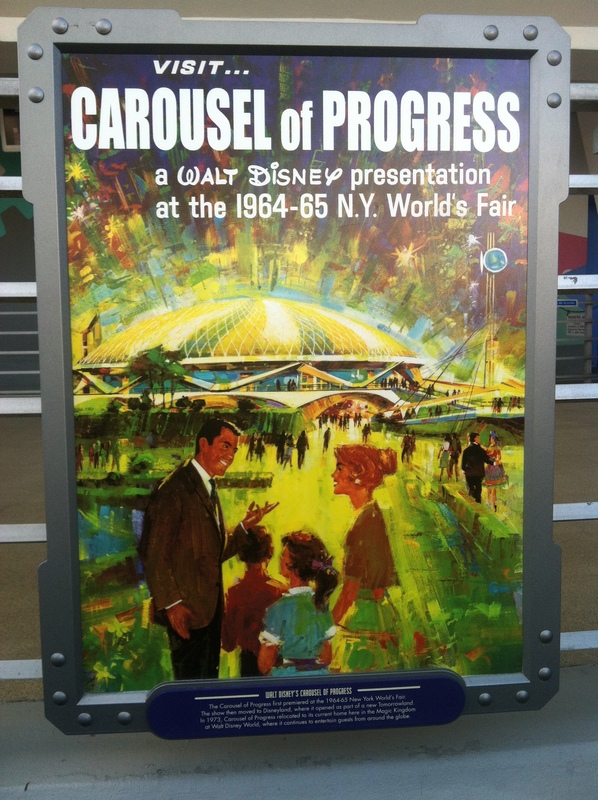 It is said that the Carousel of Progress was Walt Disney’s favorite attraction and I can see why! As you watch the family members interact through the different seasons and throughout the years, it demonstrates the promise of continued progress and advancement to create a better family life in the future for all of us! The Carousel of Progress has a catchy theme song that will have you humming “It’s a great big beautiful tomorrow” well beyond tomorrow! Our tour ended there with a rare insider’s view of some of the history of Walt Disney and little-known tid-bits of Disney World. Julie, our tour guide was an expert and was open to answering any questions about anything Disney during our three hour adventure! 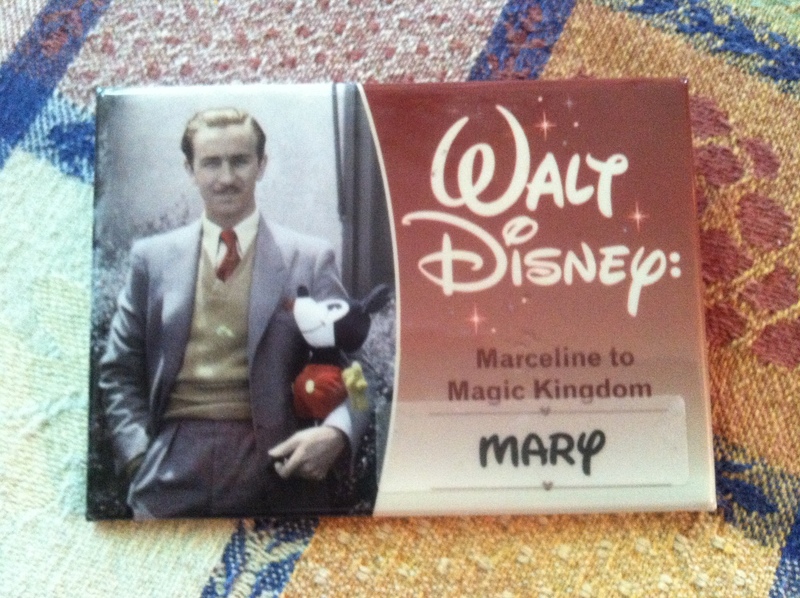 The Marceline to Magic Kingdom Tour is just one of a few different tours you can opt to participate in at Disney World. 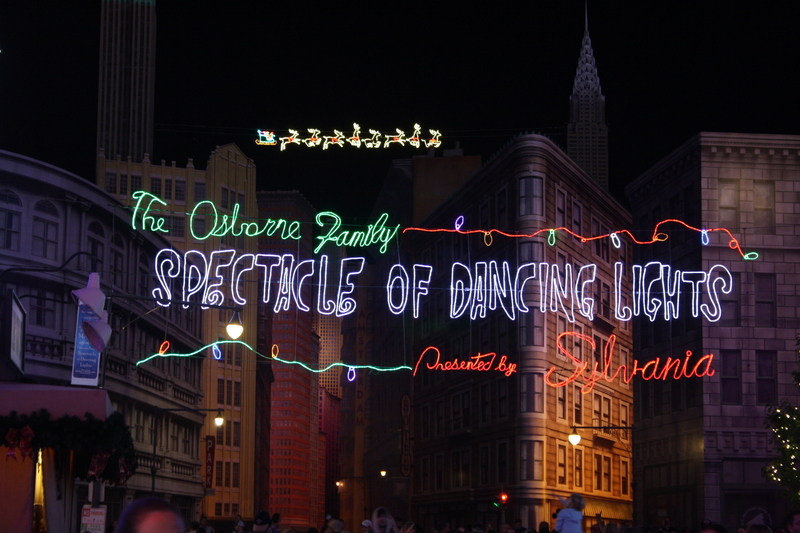 Ask your Disney Travel Planner to reserve a spot for you and your family to see this magical park from “behind the scenes”! The cost was $30 per person and well worth the walk! 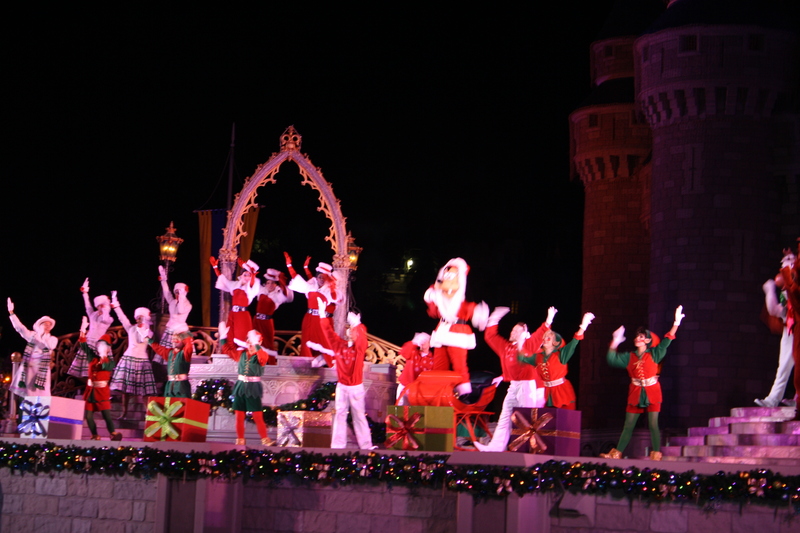 So on you next trip to Disney World, in addition to a touring plan, plan on a tour! !